For years I have taught classes that were physically challenging to participants but when I started to bring more than the Physical Dimension of Wellness to my classes, MAGIC HAPPENED. 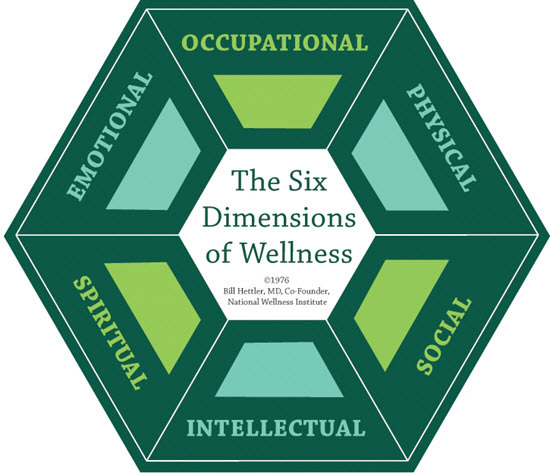 Dr. Bill Hettler, the co-founder of the National Wellness Institute (NWI), created a model named, The Six Dimensions of Wellness, in 1976. His idea of Wellness was not merely just the absence of disease, but living a life in which you become more aware and make decisions towards a more successful existence. These 6 Dimensions when fully obtained can be thought of as a wheel, the more full your wheel is the better life may be, the less full the wheel is the harder life may be. 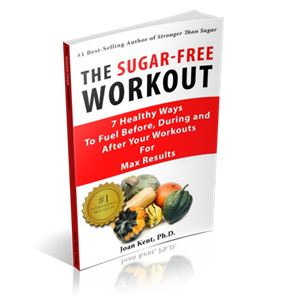 Knowing this as a Fitness Professional, I made it a point to bring more than just the Physical Dimension to each of my classes and saw an improved mood and performance from members. Below are a few ways to implement some of the Dimensions of Wellness into your classes and getting your participants to living more successful lives! Social Wellness: I start each of my classes by having participants near one another introduce themselves and share their goals with each other, during the Warm-up. This really creates a sense of community and connection that might not be there unless you initiate it to happen. The first time I tried this in class there was a silent pause and a look of hesitation of those in the room. I quickly followed up my request by sharing a stat that I read in Forbes Magazine, stating that those who share their goals with others, are 75% more likely to accomplish those goals than those who do not. This lit the fire and soon my classes were celebrating each other’s successes and helping hold each other accountable. Physical Wellness: During the class it’s crucial you create a sense of connection with the body, whether it is Heart Rate, Perceived Exertion, or simple stating where and what they should be feeling. This help will get your participants engaged and understanding what’s happening PHYSICALLY rather than just going through the motions. Whenever you get a chance during your classes, tell your participants exactly what they should be feeling so they know they are accomplishing the goals you have set. Your riders will now be able to connect with physical signs and feedback from their own bodies, which will be a great way to keep them engaged and working hard no matter if they are a beginner or a well-seasoned athlete. Emotional Wellness: Towards the end of classes, I usually have a track where I give full control to the riders. I have a set directive for the drill and try to evoke an emotional attachment to their work effort and goals. I will ask again and again, “Is this the best you can do? Is this as hard as you can work, if so KEEP GOING, IF NOT MAKE THE CHANGE! BE BETTER!” I try to create a sense of pride and worthiness to their work and show them not just how PHYSICALLY strong they are but EMOTIONALLY. This is all about song selection and coaching. The best example I can give that I use in my classes is the song, Breakn’ a Sweat by Skrillex & The Doors (Zedd Remix). The drill is simple; it’s a seated climb up the hill that scares you, the one you can BARLEY make it to the top of, the hill that when you get to the top, you feel victorious. The gear choices are up to you but the RPM’s must never go below 65. Ever rider will have a different idea of what this hill looks and feels like. It then becomes the instructor’s job to coach their team of riders up this hill and make them believe every second of the way that they can do it. Spiritual Wellness: Finally at the end of class, during the Cool-Down, I always have participants turn to their neighbors and give them a good-job or some words of praise for their work. The Cool-Down to me has 2 parts to it, first to bring recovery and relief to the body through a controlled ride and stretches, and second to feel a strong sense of pride for the effort and work they did during class. 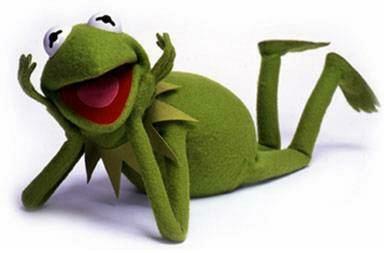 As soon as the last beat drops and the work part of the class is over, I always tell my class to turn to their neighbors and commend them for their effort during class. I also always make sure that the song or songs that I use for Cool-Down provide motivation or inspiration, like the song, I Lived, by One Republic. The lyrics talk about taking chances and, my personal favorite, OWNING EVERY SECOND! As the leader of your class, assure your team of riders that the effort they put in is one they should be proud of and feel good about. Since the implementation of these techniques I have seen a steady retention and full classes. When you start to introduce these Dimensions into your classes, be authentic and go in wholeheartedly, and you too will see MAGIC HAPPEN! Matt Wahleithner is certified as a Group Fitness Instructor and Personal Trainer by the Aerobics and Fitness Association of America. Matt also has various other Fitness Certifications in areas of Cycling, Kickboxing, Kettlebell and Pilates to name a few. Matt holds a B.S. in Health Promotion from the University of Wisconsin-Stevens Point and has been teaching indoor cycling for 5 years and group fitness classes for 10 years. Matt currently lives in Williamsburg Virginia and teaches classes at American Family Fitness-Williamsburg, R.F. Wilkinson YMCA, Williamsburg Landing Health Club and Spa, and Kingsmill Resort and Spa. Matt’s passion is to help people achieve their goals and live life to its fullest!